As the average family spends 6%-10% of their monthly budget on groceries, companies will work hard to compete for this chunk of the pie. As apps, grocery shopping apps can make everything easier, and often include delivery, consumers are praising the change they make to their lives. Since grocery shopping affects all consumers, grocery apps are sure to be hot in the coming year. Here are five reasons why they’re going to be the hottest app trend in 2019. Just ten years ago, if you walked into a room of your friends and said that a cookie company tweeted at you, they would think you were crazy. Now food and grocery companies interact with individual users on a daily basis. Most apps are encouraging social media integration to help collect data and make it easier for users to share images. People love to share what they’re doing and what they like with their friends. Because of this integration, grocery apps are becoming immensely popular. Gathering customer data is difficult, takes time, and can take up a significant portion of your budget. With social integration, it’s much easier for customers to log in, using one account. Because you can so easily figure out where customers are located and what they like, grocery app companies can get a leg up on brick and mortar stores. A grocery store needs to put items on the shelf, try to attract attention, and potentially lose money on inventory. Grocery apps merely have to give customers the option to see the comparison in prices between two brands to win sales. Based on all of the information that your customers provide via an online profile, past purchases, and demographic research, you can improve customer relations. When customers visit a store, they’re going to be looking for the perfect product. As there are usually thousands and thousands of offerings in any given brick and mortar grocery store, finding the right item is hard. When customers struggle to find that needle in a haystack, they’re going to either buy a less than optimal product or leave emptyhanded. If you build a smarter search engine for your site, you can help assist customers in finding what they’re looking for with better accuracy. While you couldn’t expect to provide a personal shopper to every single person who walks into a store, a search engine can do that work at no cost. Smart searches can also save customer profiles and information to help recommend products in future visits. If you get customers to rate and rank products after they use them, apps can recommend products next time and increase sales. Apps make the shopping process easier for consumers and grocery stores and ensure everyone gets exactly what they’re looking for. When you’re browsing through a grocery store app, you can quickly and easily add hundreds of dollars worth of items to a cart with no consequences. Since grocery shoppers usually have a specific budget in mind and are price conscious, grocery apps allow them to be finicky. Users of grocery store apps can log in and shop for items they’ll need for a party next month. Administrative assistants planning for an event can make a list and submit it to their supervisors before buying everything. Having a cart with a queue for saving items for later will ensure that customers can make last-minute decisions or change their mind without consequences. Apps can create a section for “recommended” items that can help promote new items or things that staff members enjoy. This can even be a revenue-generating section for companies, who might put out bids to recommend products to their customers. One of the great things about grocery apps is that they provide insight to product developers and companies. When they see what’s trending, they can expand their offerings to meet the wants and needs of customers. Grocery apps can become a win-win for customers and product providers. One of the things that app companies love about the mobile revolution is how much access they have to their customers. Grocery apps will continue to push for optimizing how they provide services to their customers to maintain this access. The value of being able to make their customers’ phones buzz or ding when they have a new deal to offer is one of the biggest changes in advertising. 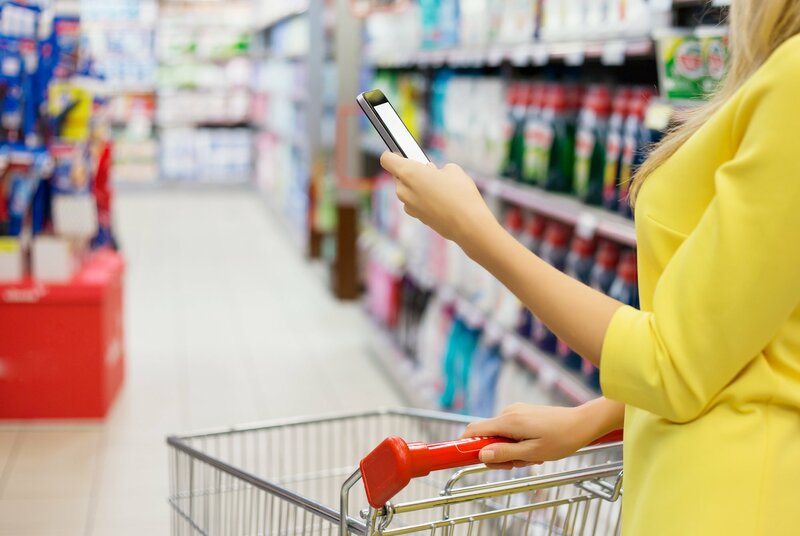 Grocery apps can track when a customer might need to replenish their supply of beans, dish soap, or toilet paper. As customers commute home on the bus or train, they can order groceries to be delivered that night or the next day. As they rack up purchases, apps can offer rewards for loyalty, just like traditional grocery stores. Grocery apps can offer everything traditional stores offer and a whole lot more. With the help of grocery shopping apps, consumers can spend more time with their families and less time waiting in long shopping lines. Product companies can find ways to meet the needs of a broader range of consumers with the data apps can provide. Everybody wins with grocery shopping apps. If you’re on the way to becoming an app entrepreneur, make sure you have these four traits.